Note: This app supports only in-app custom keyboards! 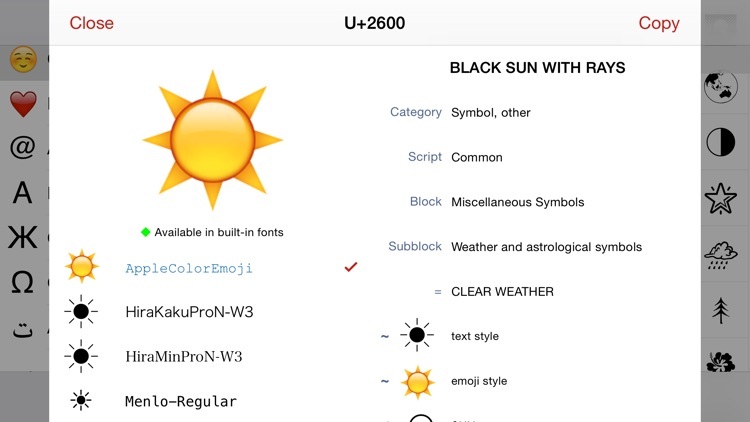 For a fancier version which also supports iOS 8 and later custom keyboards, check out the Unicode Pad Pro app! 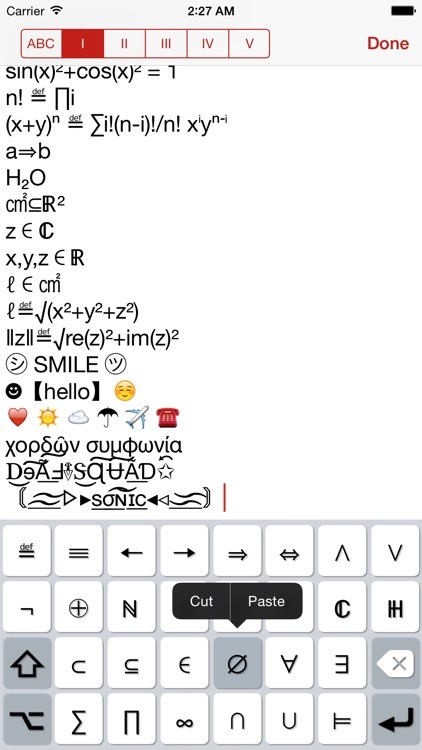 • Copy characters to clipboard for use in other apps, like web, mail, chat, notes… practically any iOS app! • Notepad with customizable keyboards, for your often-used characters and for copying several characters at once. Great for casual writing, too! • Share your custom keyboards with your friends! • Send mail and tweets right from within the app! 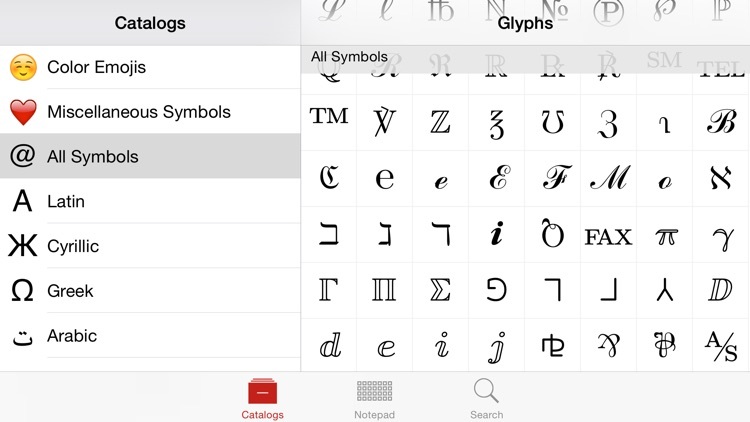 • Huge selection of symbols (thousands), in fact all that are available on your device. 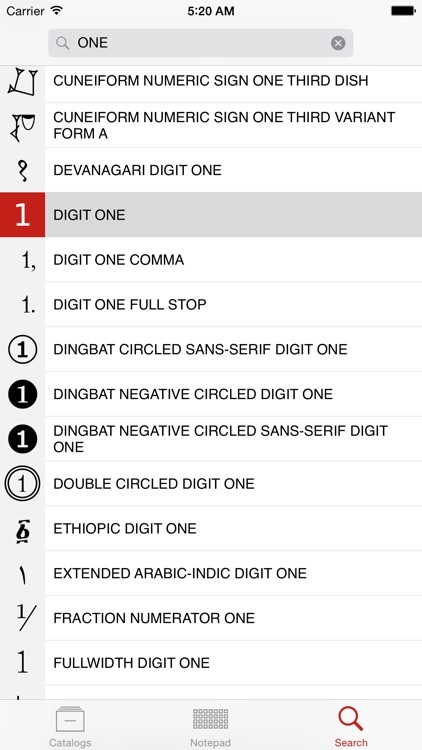 Database itself actually contains data for all Unicode characters (over 100,000), but only glyphs available in iOS system font are actually visible. • Quick acces to many groups of commonly used symbols! • Search for characters by name, hexadecimal codepoint or glyph! Find similar and related characters instantly! • Streamlined design, specifically optimized for each device. Support for all device orientations and Retina display. • Support for Backspace, New line, Shift and Alternate special keys on custom keyboards. • Custom keyboard sizes up to 6x16=96 keys. • View extended character descriptions on Wikipedia, right inside the app! 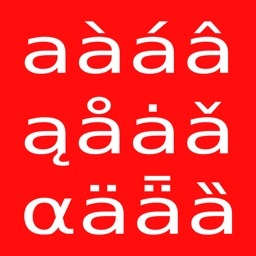 This works particularly great for emoticons! 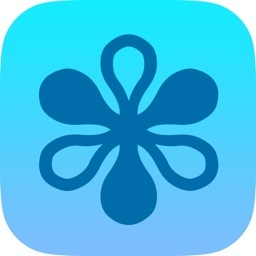 • One universal application works on iPhone, iPod and iPad! • Reference booklet of characters available on modern computers! Paper Unicode maps are over 1000 pages long! • Developers: see which characters are available on your iOS device! 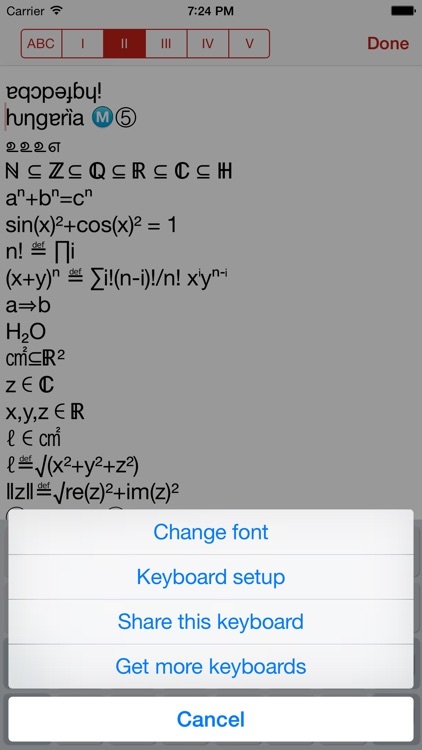 • Great for scientific, mathematical and physics notation, handles many superscripts, subscripts and other symbols! • Excellent for phonetic notation! 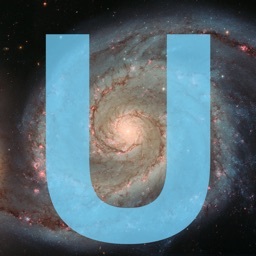 • Perfect for writing Unicode poetry! 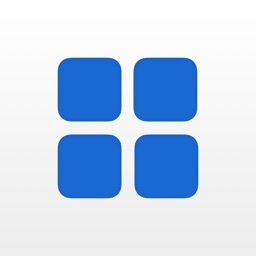 • Awesome for making interesting app names! 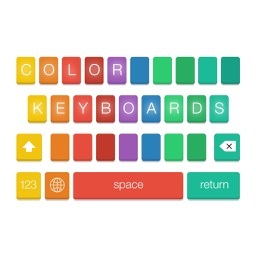 Color Keyboards for iOS 8! Today's AGF list includes a simple and elegant night stand weather app, a few classic puzzle and strategy games morphed into beautiful digital versions, a very handy productivity app, something to show your significant other you care, and an app that makes special character entry a breeze.